In this talk I’ll begin with a survey of the more than a dozen array types available, including some new matrix libraries developed in the past year. 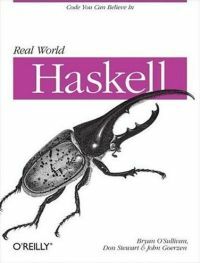 I’ll then describe a new efficient, pure, and flexible array library for Haskell with a list like interface, based on work in the Data Parallel Haskell project, that employs stream fusion to dramatically reduce the cost of pure arrays. The implementation will be presented from the ground up, along with a discussion of the entire compilation process of the library, from source to assembly. The library described in this talk is available on hackage, and is now used by a few projects, including haskell-monte-carlo haskell-pqueue-mtl haskell-statistics-fusion haskell-uvector-algorithms and Bryan O’Sullivan’s new uber benchmark suite. This talk was originally presented at Galois on August 28th, 2008.